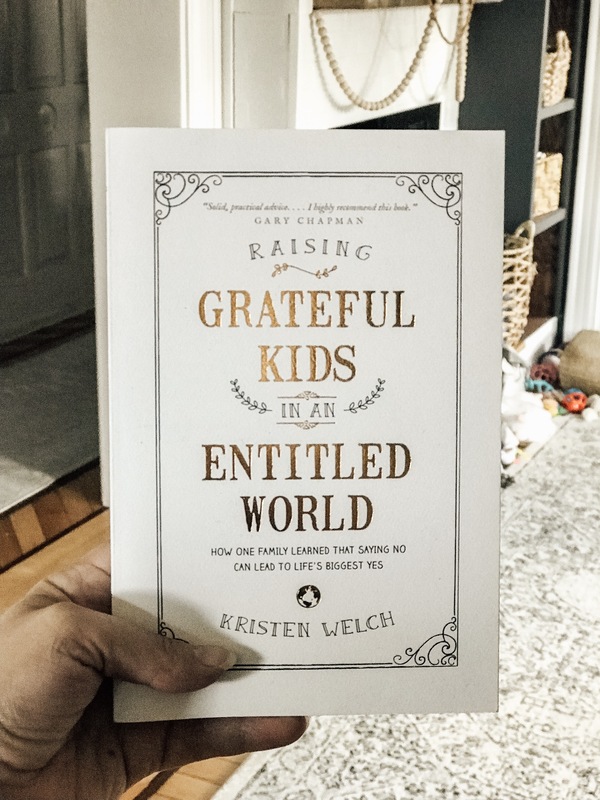 In today’s world, it seems extra difficult to be raising grateful kids. Here are some of the best ideas people have to help their children learn gratitude in a generation that is used to instant gratification. Being a parent is hard. I think it’s always been hard, whether you raised a kid in 1922, 1965, 1991, or 2019. But I do think we have a unique set of challenges in this generation. We are trying to navigate the murky waters of raising kids in a time where everyone is attached to technology all the time. It’s slightly overwhelming to think about the parenting mountains we will climb in the years ahead, but I’m trying not to focus on that! Instead, I’m trying to figure out what I can do now, today, to teach my kids to be thankful and grateful for everything we have. The hard lesson I’m learning that is often times, we have to learn these lessons OURSELVES before we teach them to our kids. Never a fun thing to hear, right? But it’s necessary! We need to feel it, speak it, and live it for our kids to get it. So, first…take a minute to realize how much you have. Sure, there’s always “something else” you’re looking forward to getting. Some new item to buy. A new project to complete. A new season to look forward to. But right here, right now…there’s a good chance you have a LOT more than so many people do in this world. If WE don’t practice gratitude first, then our kids won’t get it. Sometimes it’s going to feel forced. We KNOW that running water is a luxury that many don’t have, but try saying that out loud when you actually use the faucet. You KNOW that many people don’t have access to Advil or Tylenol when their kids have a fever…maybe it’ll sink in a little bit more if we say that out loud when we fill up that medicine cup. We KNOW that many people don’t have access to healthy food for their families – try saying that out loud while you’re unloading the groceries and trying to find room in your refrigerator. The more we speak it (in a non judgmental tone) the more WE will believe it, and be aware of all of the blessings we have. And guess what? Our kids are listening. Here’s a little game we play every single morning on the way to preschool. An obviously very unedited video from our car ride…but you get the point. It doesn’t have to be fancy! But our kids remind me to play the “thankfulness game” every single day. I didn’t know if it was doing anything…but my son has started saying things while he is praying at night like “Thank you God for our house, because not everyone has houses…” so maybe it’s making some kind of difference! Sure, we want them to be thankful for the toys they have and the food in the pantry, but we also want to teach them to be grateful for the service of others. This is the hardest for us to learn in our house – I’m trying to teach my kids to be grateful for the fact that I made them a home made dinner…that my husband mowed the lawn…that their grandmother spent the day with them. Sure, it’ll just be repeated from you for a while. But soon if you’re consistent, they’ll start doing it on their own. I catch my kids thanking each other for helping to clean up each other’s messes and my heart melts. Of course it doesn’t happen all the time! But those little glimpses help to encourage my heart! It’s OK to not buy a toy every time you go into Target. It’s OK to say “no” to your kids. When they’re not used to getting things often, then when they DO get that toy or that game, they are honestly grateful for it! When you don’t go out for special treats often, then that trip to the ice cream shop means even more. But, friends…the same thing goes for us. Man, that’s hard. But it’s true! We don’t have to have the latest home decor accents. Shocking, I know. I’m a home decor blogger telling you IT’S OK that you don’t have updated light fixtures or bedding. It’s OK. When we don’t constantly buy every item that’s on sale, we not only save our checking account, but we also appreciate the times that we DO make a thought-out purchase that much more! It’s so much more special, and then we are more grateful. This one is a little harder for me, because I feel like we’re restricted with what we can do and where we can go when we have a family of 3 kids 5 and under. But I can’t WAIT to do more once they’re a little bit older! At the dinner table, go around the group and ask everyone to find something they’re grateful for that day. Model this with yourself first! We’re all going to have days that we feel super grateful for running water and flushing toilets. And then there are days where all of our #FirstWorldProblems seem to consume our thoughts and we forget how good we truly have it. That’s NORMAL. That’s LIFE. This isn’t supposed to be a guilt trip (“You should be thankful! You have it so good!”) but it’s just supposed to be a gentle reminder. If you’re reading this blog post on a computer or a smart phone…you probably have a lot to be grateful for. And if you’re still looking for some good reading material – this is a great book!